The Fulbright Foundation in Greece, the oldest Fulbright Program in Europe and the second oldest continuously operating Program in the world, has enhanced Greek and American relationships since 1948, when it was established. 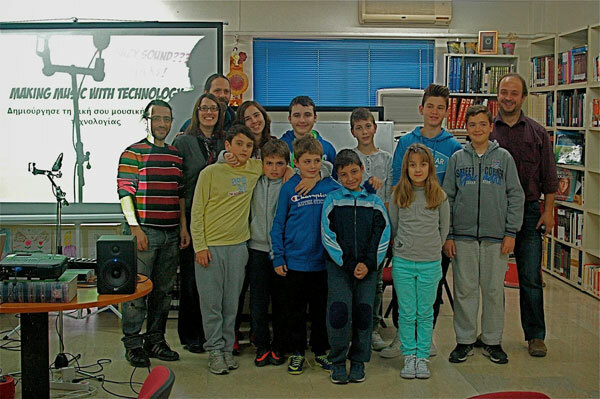 Dr. Elainie Lillios, U.S. Fulbright Scholar to Greece 2013-14 put together the following two musical technology workshops at the Municipal Conservatory of Thermi, Thessaloniki. In the spirit of bi-nationalism that is central to the Fulbright Foundation, Fulbright grants have been awarded to approximately 5,000 Greeks and United States citizens in almost every field and discipline: the Arts, Humanities and Social Sciences, Business and Finance, Science and Technology, the Environment, Education, Media, and Government. The Fulbright Foundation programs in Greece would not be possible without the financial support of the U.S. and Greek governments, and corporations, foundations, institutions, and individuals. Due to the current financial environment, however, it is extremely difficult for the Fulbright Foundation to secure funds for the award of its scholarships to deserving Greek and U.S. students, teachers, artists, and scholars, except through the generosity and philanthropy of donors who share common values and the belief in the importance of the advancement of education in Greece. In an interview with the GN Ms. Zenetou re-introduces the Greek American community to the Fulbright Foundation Program, the matchless opportunity for students, scholars, teachers and artists to study abroad though scholarships. GN: Is the Fulbright Foundation placing special focus on finding solutions for problems Greece is experiencing during the economic crisis? AZ: For the next three academic years, the Foundation will place emphasis on scholarship programs that have immediate impact for Greece. Currently Fulbright is making every effort to award short-term grants that will have immediate impact on the Greek educational system. Such as programs for: a) educators and b) scholars as these grants are for a shorter duration and participants, who have established careers and hold professional positions in universities, research centers and schools in Greece, return to the country to apply the expertise they have acquired and benefit from establishing international networks and linkages. These two programs share common traits as they are both addressed to professionals and are of a short duration. These traits allow an “immediate” transfer of expertise to Greece to the benefit of the institutions, research output, students and pupils in a much-needed time. GN: Some Greek officials have praised the educational and cultural exchanges that Fulbright scholarships bring about. GN: What keeps the Fulbright Foundation programs going? AZ: The continuity and growth of programs offered through the Fulbright Foundation in Greece would not be possible without the support of the U.S. and Greek governments and the generosity and philanthropy of corporations, foundations, institutions and individuals. Due to the current financial environment, however, it is extremely difficult for the Fulbright Foundation to secure funds. 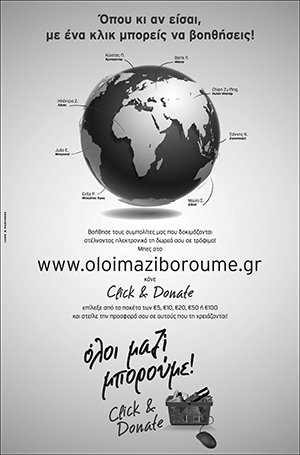 We are therefore reaching out to donors with whom we share common values and the belief in the importance of the advancement of education in Greece. The Foundation relies on the support of its donors to safeguard educational opportunities through its scholarship program and continue offering as many scholarships as possible to promising Greek and American students and scholars. The donors have the ability to select the field of study of the scholarships they support, and can support one or multiple scholarships depending on the funds they are willing to commit. The Fulbright Foundation maintains a 501(c) (3) account for the deposit of donations with tax benefit for its United States–based donors. GN: How have some Fulbright scholars helped Greece? AZ: Two examples of the long-term impact of the Fulbright Program on the crisis in Greece is evident in statements by Fulbright recipients Emmanuela Truli and Aphroditi Veloudaki. GN: How are Fulbright recipients chosen? AZ: Grantees are selected on the basis of academic excellence, educational and professional achievements, civic engagement and leadership potential. Fulbright grants are highly competitive, merit/need based grants, offered to graduate students, scholars, teachers, professionals, scientists, and artists of Greek and American citizenship to study, lecture, or conduct research in the United States and Greece. GN: In what form are Fulbright grants given? AZ: The Fulbright grants are financial stipends that allow students, scholars, teachers, and artists to study, lecture, and conduct independent research in the U.S. and Greece respectively. GN: Under what program do Greek Fulbright recipients come to the United States? AZ: Greek citizens that are awarded a Fulbright grant are placed under the Exchange visitor program of the U.S. Department of State, which fosters global understanding through educational and cultural exchanges. All exchange visitors under the program are expected to return to their home country upon completion of their program in order to share their exchange experiences. GN: Who have been some prominent Fulbright recipients? GN: How else can the Greek American community help promote Greece through the Fulbright Foundation? AZ: Beyond donations it is important to spread the word about GREECE as an educational destination….Fulbright Greece and opportunities for educational exchanges between the two countries. Important: academics in U.S. Universities can pitch in their schools and ask for Modern Greek language, history, and culture to be included and offered to students – promote Greece in the US through education. Last month the Institute of international Education–New York announced a 5-year initiative titled, GENERATION STUDY ABROAD, which has as its goal to increase the number of American students who study abroad. Greece and Fulbright Greece welcome study abroad students! We need to utilize the academics of Greek origin who teach in U.S. universities, and highlight Greece/Fulbright as a great resource! We need to create more linkages between U.S. and Greek educational institutions, and to share resources!